Bell Lumina 150/70 Lumens Head Light showing the power/mode button. 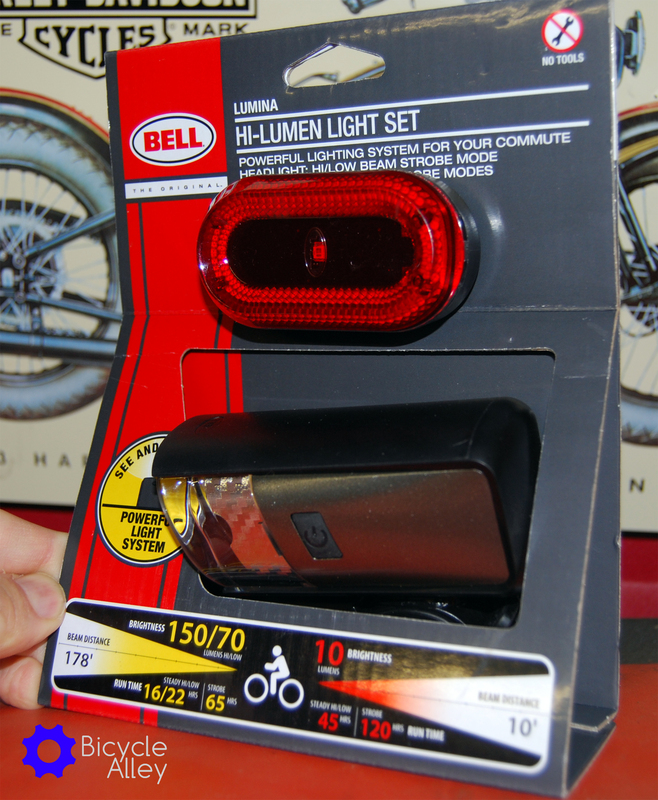 Bell sells a Bell Lumina Premium bicycle light set at Walmart and online that includes a 10 lumens tail light and a 150/70 lumens head light. This is the most powerful bicycle light set I have seen on the shelves at a department store, so I picked one up for $24.95 plus tax to do an unboxing and mini review. The light set is available online in 2 different versions: a premiun set and USB set. The premium set head light and tail light is powered by 3 AA and 2 AA batteries respectively. 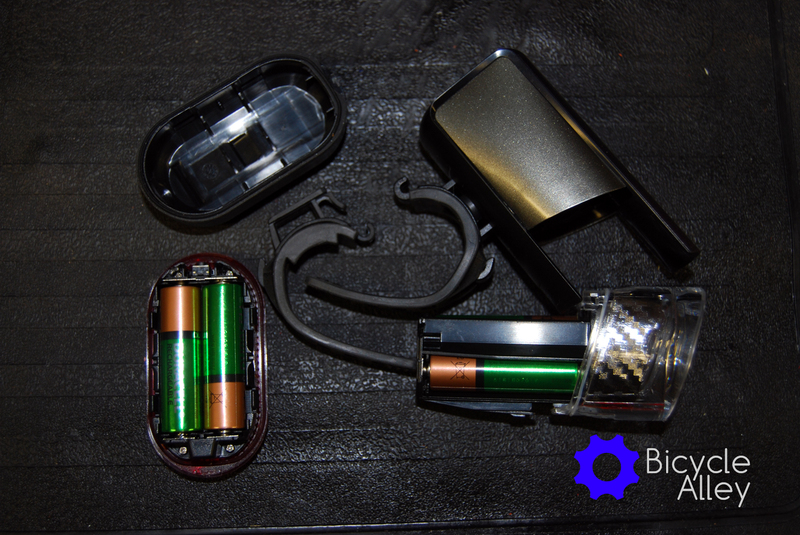 The USB head light found in the USB set is powered by a built-in lithium battery that is USB rechargeable, and the tail light is powered by 2 AA batteries. I bought the premium set because the USB set was not available at my local Walmart, but I did find the USB set on Amazon. The Bell Lumina head light has 3 modes: hi, low and strobe. The head light produces 150 lumens in hi with a 178 feet beam length and 16 hour run time, 70 lumens in low mode with a 22 hour run time and a 65 hour run time for strobe mode. The packaging doesn’t give a lumens for strobe mode, but it is surprisingly bright. 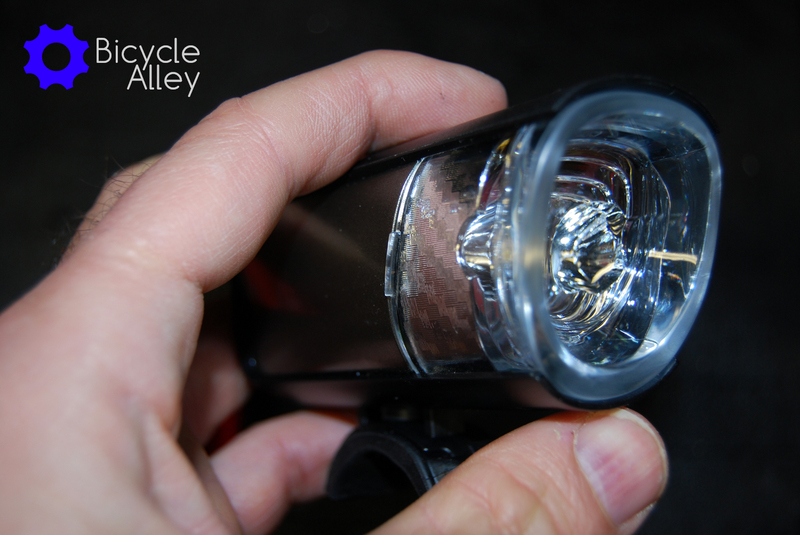 The tail light produces 10 lumens with a beam length of 10 feet and has 2 modes: steady and flash. The tail light steady mode has a 45 hour run time and 120 hour run time for flash mode. There is an error on the packaging that says the tail light has a steady hi/low mode, but only lists a 45 hour run time for both modes. This is because there is only one steady mode for the tail light. All tests used to get the specifications for both lights used ANSI FL-1 standards, so the specifications should be accurate. I got a chance to use both lights at night and I was happy with both of them. The head light is bright enough for commuting and lights up the road ahead of you in both hi and low modes to see any pot holes or obstacle that might be in your way. I was really surprised to find that the strobe mode on the head light is brighter than the two strobe modes on my Bontrager Ion 700 bicycle light, which cost $110. Also the head light has better side visibility than the Bontrager, which also surprised me. If I had to complain about something it would be the physical size of the head light. Its big! Its not something that will fit easily inside the pocket of your jeans when you stop and have to remove the light. Other than that I have no complaints about the lights for night time use, and I plan to use both of them in the future. It also doesn’t bother me that both lights use AA batteries since I am using rechargeable Duracell batteries and the lights have a descent run time. 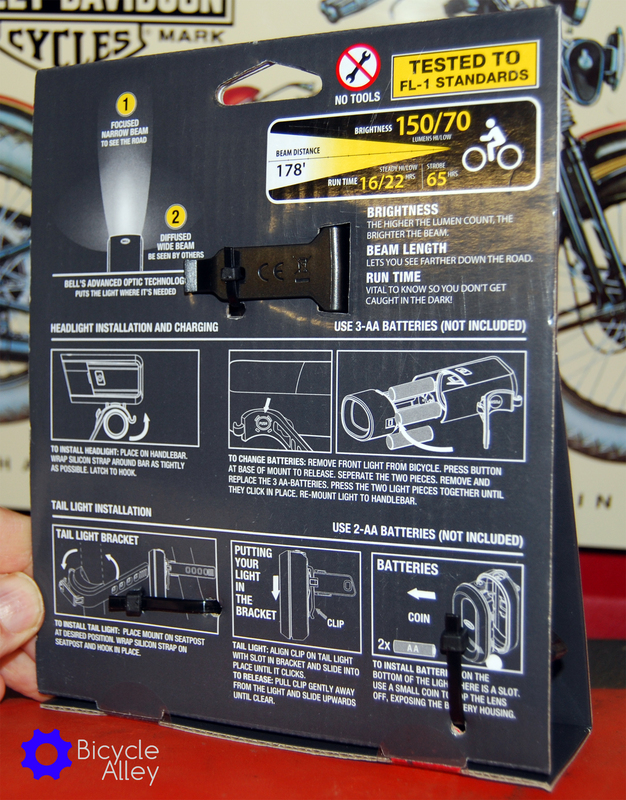 All contents in the Bell Lumina Premium Bicycle Light Set. Includes a tail light, head light and silicon straps for both lights. The gasket used to seal the Bell Lumina head light battery compartment. 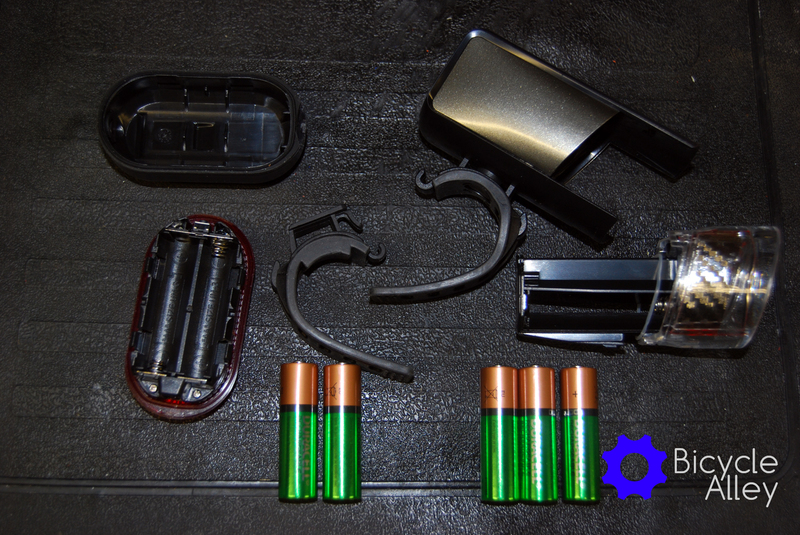 I had trouble with this coming off when you open the battery compartment. If you apply a small amount of lithium grease around the gasket it will fix the problem of the gasket coming off. Another shot of the gasket that seals the battery compartment on the Bell Lumina head light. The Bell Lumina head light. You can see the rib on each side of the head light that helps you pull the light/lense out and reveals the battery compartment. 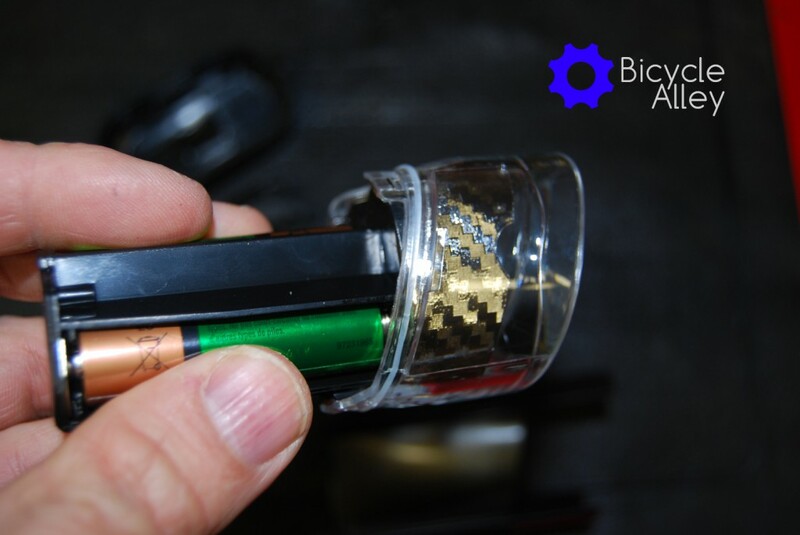 The Bell Lumina Premium Bicycle Light Set with all lights opened up and revealing the battery compartment. I used Duracell rechargeable AA batteries seen in the photo. They have a higher capacity than the cheaper Rayovac brand. 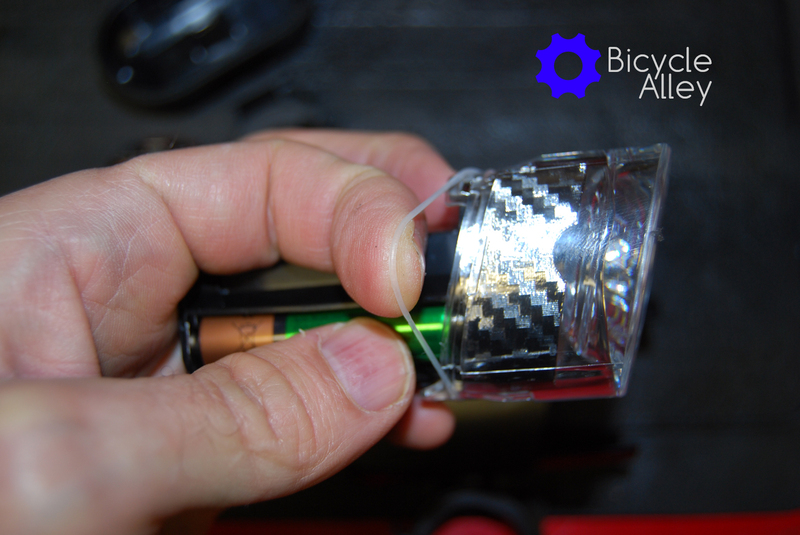 The Bell Lumina Premium Bicycle Light Set with the lights opened up revealing the installed batteries. The Bell Lumina head light silicon mounting strap. You can see a round button with the work push written across it. 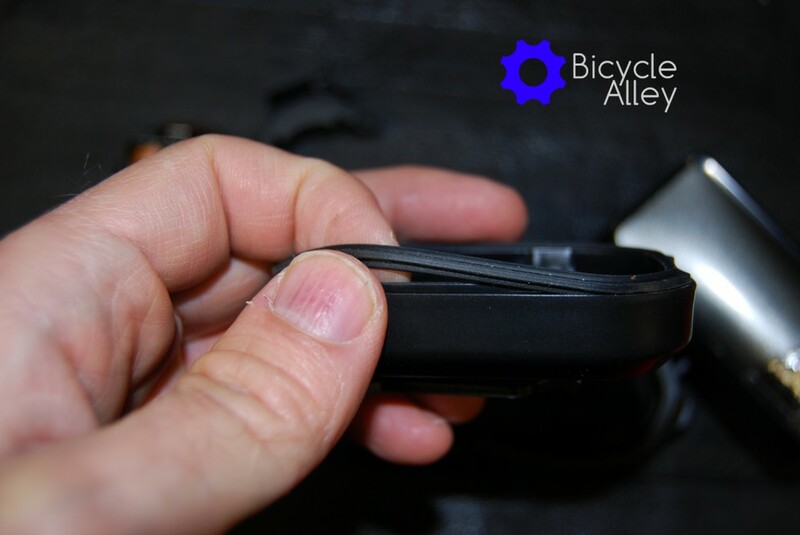 You push this button first to pull the lense cover off to get to the battery compartment. The gasket used to seal the battery compartment on the Bell Lumina tail light. The side of the Bell Lumina tail light showing the belt clip. 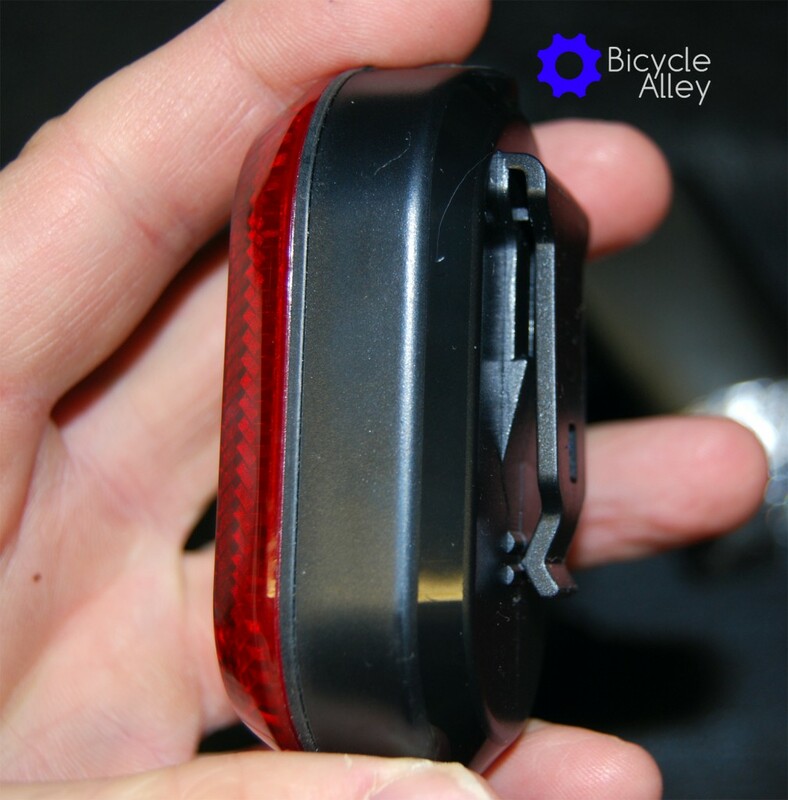 The Bell Lumina tail light power/mode button. 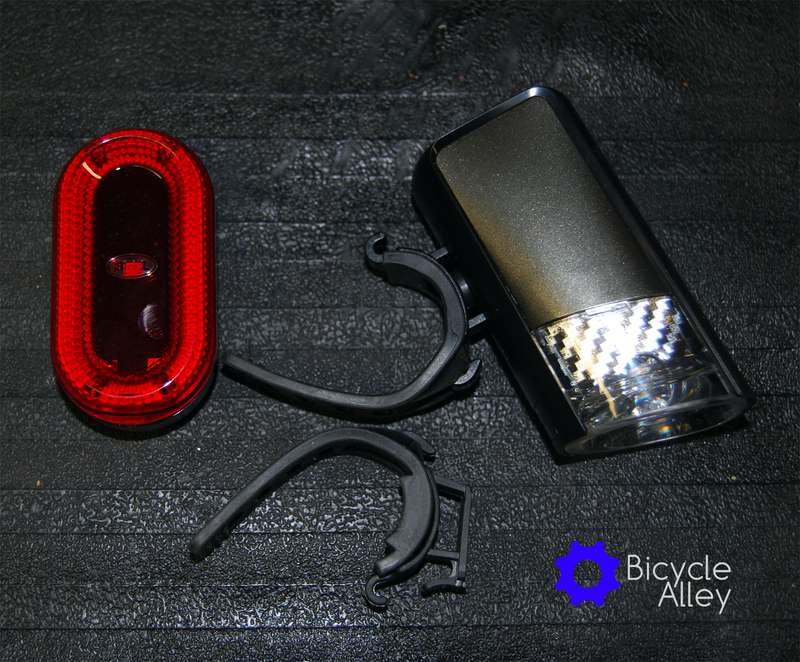 The Bell Lumina tail light with the silicon strap attached to the tail light.